That's some impressive artwork. I'd like to grab a zine, but it's gonna be impossible. 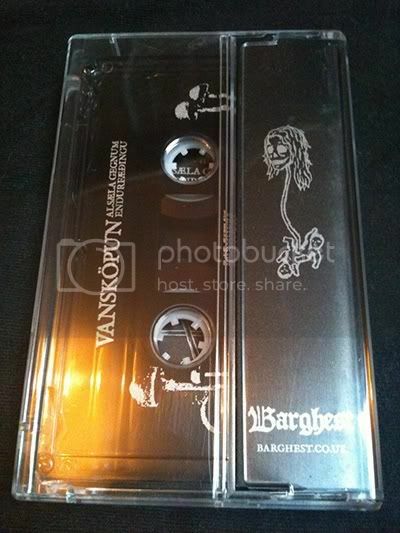 Is the Vansköpun tape a re-release of the demo tape that was sold by the band guy last June? The original demo never had any mastering, as far as I know. Other distros will be added to the list later today. We are still looking for distribution in North America and southern Europe! Distros get in touch to reserve your copies at the special pre-release wholesale prices (around 25-30% off regular wholesale price). Will have that one in stock soon. Hetroertzen digi-CDs are now available. The Vansköpun tapes haven't arrived yet, but should be here next week. Are the previous Hetroertzen albums worth to check out? They are OK, but to me they evolved for the better in the new album, so do not expect a similar sound. I found a copy of visionary from some russian distro for 9 euros last month. 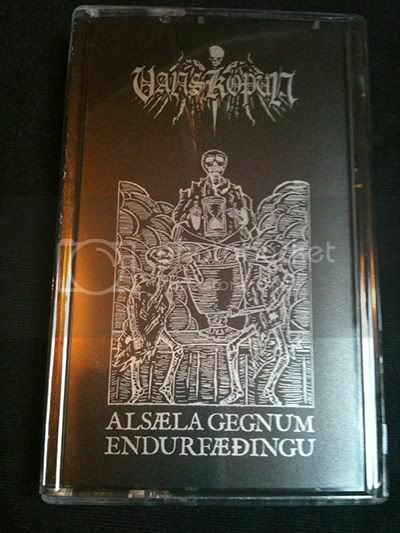 Vansköpun 'Alsæla Gegnum Endurfæðingu' Tape EPs and Hetroerzten 'Exaltation of Wisdom' DigiCDs - both now in stock! Distros get in touch - North American distributors needed for these releases. I'll be getting some copies of the re-press CD direct from the band soon. Also, expect a re-press of the double-LP version next year. Still waiting for the Hades Archer CDs. They were shipped from the label in Chile over a month ago, so surely must arrive any day now. I like what you did with the fetus. Thanks! It's not every day you hear that. Indulgence Artworks is looking forward to working with any other future release by Barghest.